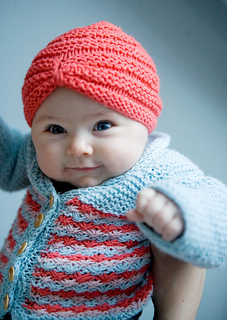 We love the daisy stitch, and have finally knitted up the Lazy Daisy cradigan in our own yarn. 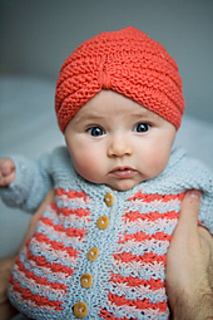 We added a feminin baby-turban to complete the cardigan. Pretty neat?